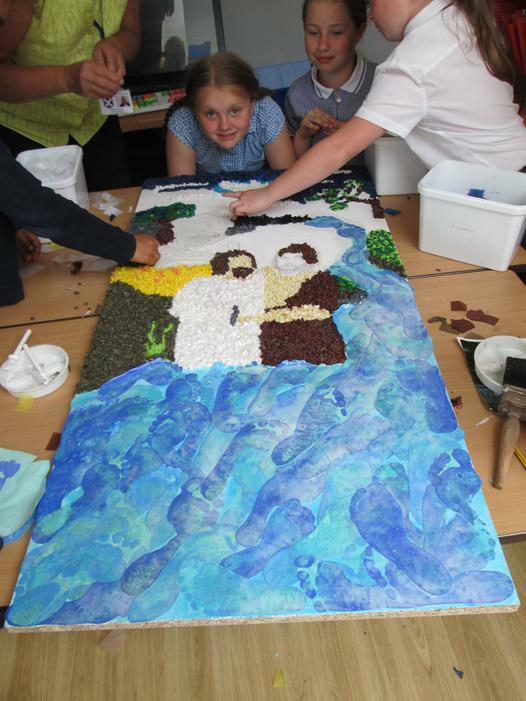 The school was invited to take part in the Footprints Project by St. Andrew's Church this week. 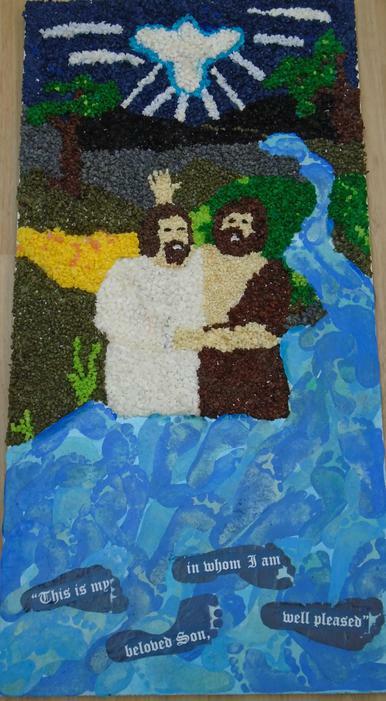 Along with other schools, we were asked to produce a piece of artwork using the children's footprints to depict the baptism of Christ. 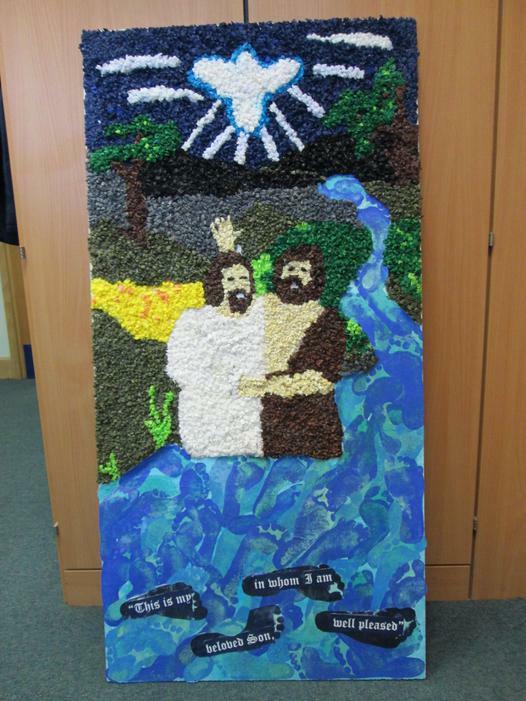 Mrs Haywood coordinated the art work and the children had lots of fun squelching in the paint and producing the collage with tissue paper. 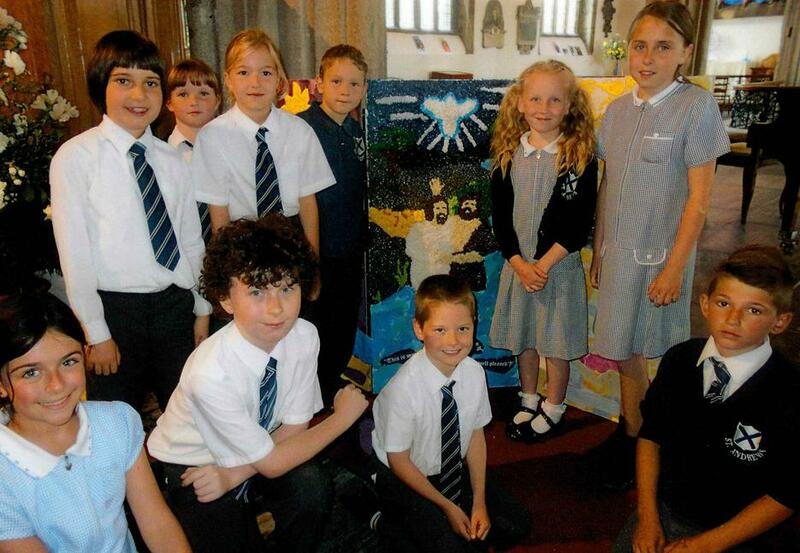 Some of the children attended a short service at church today with Mrs Haywood and Mr Stonebridge. 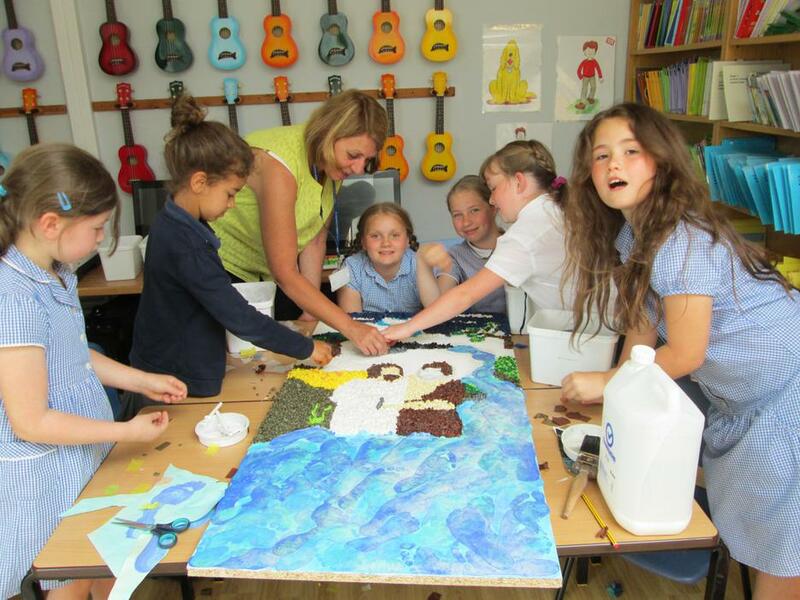 They were able to see the art from all of the schools involved.